At the beginning of this month, the World Rally Championship was thrown into enormous turmoil after the FIA prematurely terminated its contract with promotor North One Sport. 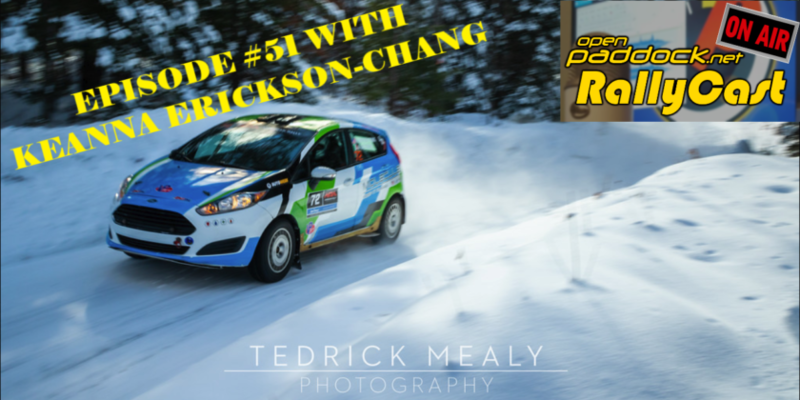 The sequence of events that lead up to this is rather convoluted, but let’s see if we can’t untangle the mess that ended up with the premier rally series in the world, the WRC, making its triumphant return to the premier rally in the world, the Rallye Monte-Carlo. In 2009, North One Sport, a subsidiary of North One Television, signed a long-term deal with the FIA to promote the WRC until 2020. Things started out smoothly, and we even got rally coverage (albeit delayed) here in the States on Discovery HD Theater. Good news for us, and it was great to see rally back on the television here. Unfortunately, North One Sport lost money on the WRC promotion deal and was suffering in the beginning of 2011. Coming to the rescue, so to speak, was Convers Sports Initiatives, a conglomeration of companies founded by Russian businessman, Vladimir Antonov. Converse Sports Intiatives purchased (took over) North One Sport in the first quarter of 2011, but left in tact the majority of the North One Sport infrastructure. It appeared that CSI would simply be a benefactor for NOS, lending financial and logistical aid to the struggling promotion group, but not interfering with the day-to-day business. The key to this whole mess lies with one man, Vladimir Antonov. Mr. Antonov is a Russian multi-millionaire who built a banking empire amid the ruins of the Russian economy in the late 90s and early 2000s. He’s been either on the board, if not chairman, of several banks and financial groups including International Financial Group Convers Group, JSC Finasta Holding and JDC Bank Finasta, Latvijas Krājbanka, and the ill-fated Bankas Snoras AB. 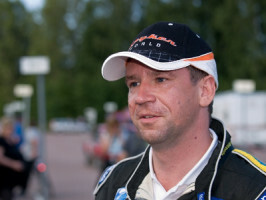 Antonov’s interest in fast cars and motorsports would colour his future investments, including his move to have Snoras purchase a majority share of Spyker Cars from Saab in 2008. The Swedish National Debt Office did a background investigation of Antonov before approving the purchase primarily because of allegations that he and his family were involved in organized crime in Russia. Swedish securities police continued this investigation of Antonov, found that the connections were more than rumor, and there was evidence of his involvement in money laundering. These allegations would later be refuted, clearing Antonov’s purchase of the niche sports car marque. Late last year, Antonov’s activities finally had generated enough notice and left enough evidence that Lithuanian prosecutors issued a European arrest warrant for his arrest in connection with suspected asset stripping of Snoras, which at the time held Convers Sports Initiatives as one of its properties which in turn held North One Sports. The stripped assets were replaced by phantom “off shore assets” on the official books and the discrepancies were not revealed until Lithuanian authorities began an earnest investigation of the bank’s dealings. They ended up nationalizing (read seized) the bank in the middle of November and suspending its operations. At the time Convers Sports Initiatives maintained that they were independent of Snoras and would continue operations as normal. While on the surface, that seems legit, keep in mind that Antonov owned both and as the British Financial Services Authority noted in 2009 when he applied for a UK operating license for Snoras, “These failures [to provide full disclosure] are not an isolated instance but are examples of an ongoing pattern of behaviour by institutions controlled by Mr. Antonov.” Antonov was arrested on the 24th of November in London. In spite of their statement not a week earlier that CSI was continuing “business-as-usual” operations and that they were unaffected by the seizure of Snoras by the Lithuanian government, the company went into receivership (that’s bankruptcy hearings for us in the States) on the 1st of December. Concern for the various sports assets that CSI owned, including Executive Sport Ltd., Portsmouth Football Club, and North One Sports, immediately erupted and was just as quickly refuted by the various companies. North One Sports released a statement that same day. In response to today’s announcement that parent company Convers Sports Initiatives (CSI), has been placed into administration, North One Sport would like to categorically confirm that the business is a stand-alone subsidiary and that it is not in administration. The priority is to ensure that North One Sport continues to successfully promote the WRC to fans, stakeholders and partners. North One Sport would end up following their parent company into bankrupcy. In spite of their claims to being an independent operation from CSI, the FIA began reevaluating its current contract with North One Sport and formulating plans to ensure the long-term health of the World Rally Championship barely a week after CSI’s failure. North One Sport, while adamant in its statement that it was an independent operation from CSI, was hard-up for cash having lost their primary benefactor. They were close to securing an investment deal with Qatar. That deal fell through on the 6th of January leading the FIA to terminate North One Sport’s contract for having “conspicuously failed to deliver its contractual obligations and is in fundamental breach of contract,” according to the FIA. This left the World Rally Championship without a promoter, without a video production plan or assets, and without timing and scoring equipment, which although operated by Stage One Technology was owned by North One Sport. All of this comes a mere two weeks from the season opener, the legendary Rallye Monte-Carlo which the WRC recently re-acquired after the event had spent the past few seasons on the IRC calendar. With North One Sport plunged into bankruptcy after the FIA rejected the Qatari investment deal, promotion of the fast-approaching Rallye Monte-Carlo and the rest of the 2012 World Rally Championship season was left in question. Eurosport, promoter and broadcast producer for the Intercontinental Rally Championship, agreed to step in to film and broadcast Monte-Carlo, but nothing has been settled beyond that. Whether Eurosport continues as the promoter for the balance of the 2012 season remains to be seen. FIA President, Jean Todt, has stated that a new promoter agreement for the WRC will be in place before Rally Sweden which begins on 9th of February. 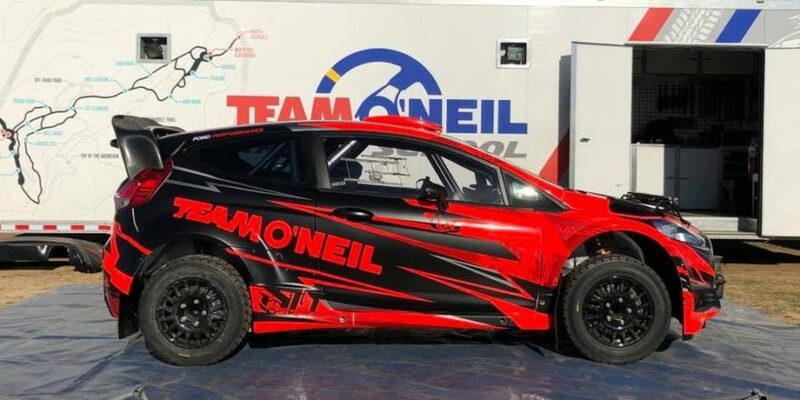 His goal is to secure a five-year with the new promoter, with an emphasis on sustained and steady growth and restoring the sport of rallying. The WRC this last year has made some great strides forward in regaining some of the prestige it lost last decade. Rallye Monte-Carlo has returned to the schedule, more manufacturers are becoming interested competing, the FIA has a president that actually gives a crap about the sport. MINI continues to develop its Countryman, Ford and Citroen have expressed their commitment to the WRC, and Volkwagon will be joining in the fun in 2013 with their Polo. Now what is needed to launch the WRC and the sport of rallying to the next level is quality exposure on the airwaves. Securing a reliable and competent promoter for the WRC could be the most crucial challenge the sport has ever faced. We’re at a crossroads right now and a good choice for the WRC promoter will elevate the sport to its proper and rightful place among motorsports elite racing series, but a poor choice will squander all of the good efforts teams and manufacturers have place into growing the sport and rallying will fall back to a niche sport few will remember and fewer still will appreciate.